In times of peace between raids, a Viking warrior knows to put their axe away but still within reach, should the need to fight arise. 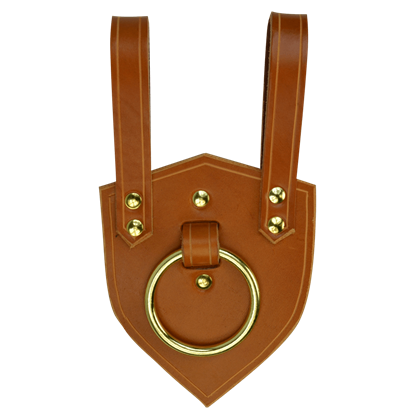 With the Brown Leather Axe Holder, you can keep your faithful weapon safely by your side. This leather axe frog fits most medieval belts via two strong loops, so it is easy to wear on a belt and grab your axe from whenever needed. The medieval axe frog is fitted with a steel tone metal O-ring that is just wide enough for the placement of an axe haft. If you are looking for the perfect weapon holder to add to your Viking or medieval warrior outfit, look no further than the Brown Leather Axe Holder. 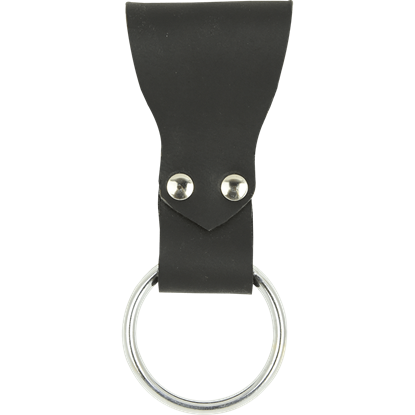 A simple yet effective design, this leather frog will suspend your axe at your waist. It is made from sturdy 7/8 oz. 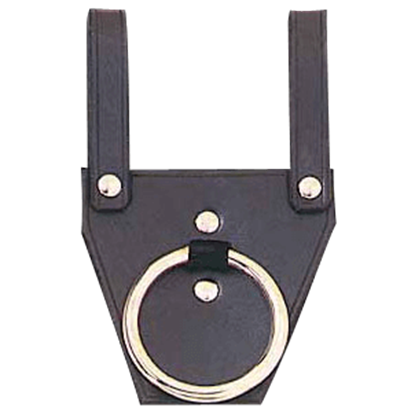 leather and fits belts up to 3 inches wide. 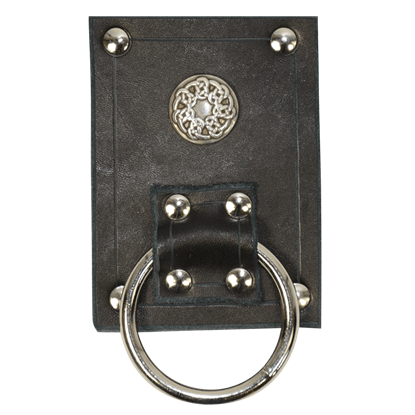 It is made in black with silver hardware or brown with brass hardware. 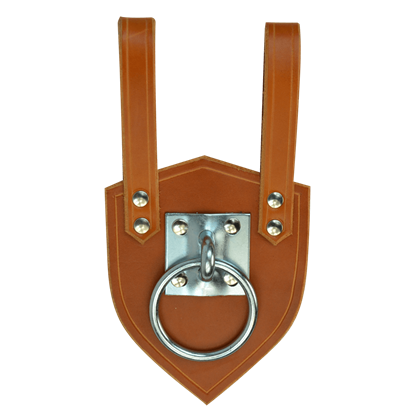 The leather axe frog boasts an oversized nickel plated ring for cradling the head of even the heaviest axe, ensuring that whether you arm yourself with a hand axe or a two handed axe, you can keep it at your side with ease. This sturdy axe frog is made of two pieces of 7/8 oz. leather, through which the belt slides. 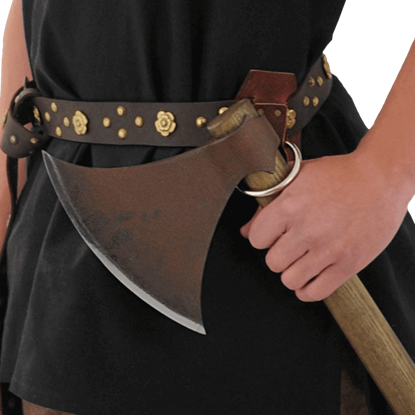 It is a must-have for medieval axemen or anyone who wields a hafted weapon. 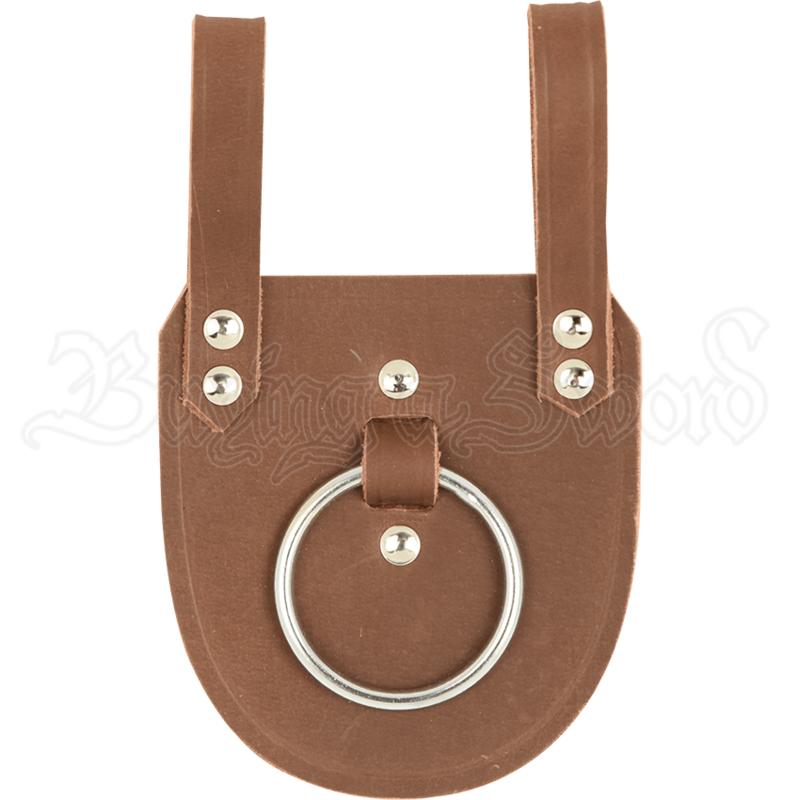 It comes in black or brown and fits up to a 3 inch belt. This is a heavy duty axe frog. 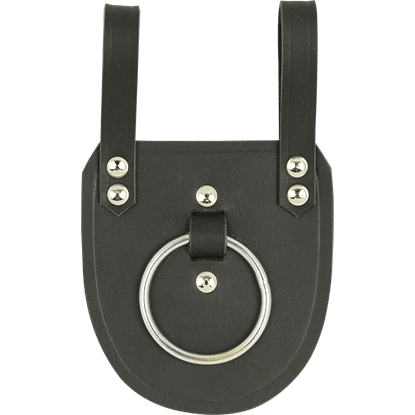 The 2 inch wide O-ring is attached to the steel hardware and mounted onto the frog. This frog will hold any axe and fits most belts up to 3 inches wide. It is a must for reenactors who favor hafted weapons. Carry your axe or war hammer in style with our Medieval Knights Axe frog. This sturdy frog is made of 7/8 oz. leather and is available in black or brown. 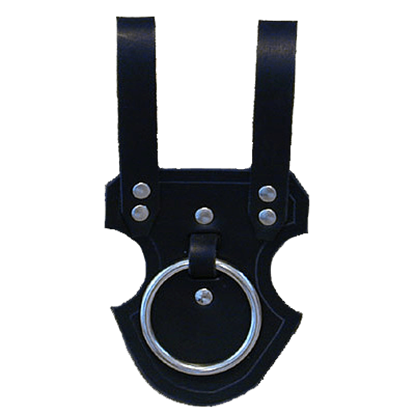 It is designed to fits up to a 3 inch wide belt.